June 25, 2018	2:29 PM CDT By W. T. Whitney Jr.
Pollard introduced the theme to be explored here: Capitalism—which Pollard alludes to—was and is married to white supremacy. 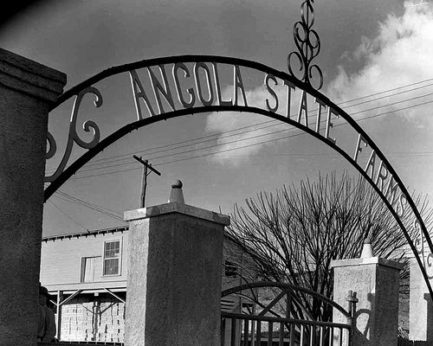 Both were essential for making productive a section of fertile land in Louisiana now referred to as Angola. An analysis based on Marxist thinking sheds light on what moved that process. Angola has been plantation and prison for almost 200 years. Originally, enslaved people of African descent produced cotton to enrich an owner. Later, prisoners would be producing salable crops. Slave descendants would fill the prison. Indeed, as explained by journalist Betsey Phillips, “The richest man in the South…realized he could make a fortune selling men to the white men who wanted to put cotton in Mississippi.… He and his nephew [by marriage], John Armfield, headquartered their operation in Alexandria, Va., and they began to trade.” They of course bought and sold enslaved people. Theirs was the biggest slave-trading firm in the United States. After Isaac Franklin’s death and until 1880, Adelicia Acklen Cheatham, his widow and the “richest woman in the South,” continued operations at the Louisiana plantations she inherited. Meanwhile, in 1869, former Confederate army officer Samuel James contracted to lease “all of Louisiana’s convicts.” He would put them to work. In 1880, he bought Cheatham’s 8,000 acres in West Feliciana. He lodged his rented prisoners there, subleasing some of them and forcing others to produce crops on his own land. He died in 1894. Prison rules require all able-bodied prisoners to work a forty-hour week for no more than 20 cents per hour. Farm work predominates: “Inmates cultivate, harvest, and process an array of crops each year, producing four million pounds of vegetables [including] cabbage, corn, onions, strawberries, and tomatoes.” They grow “wheat, corn, soybeans, cotton and milo.” Angola prisoners maintain a herd of 2,000 cattle and raise draft horses for use there and for sale to the public. Additionally, prisoners make office furniture, bedding, garments, metal devices, and printing products. 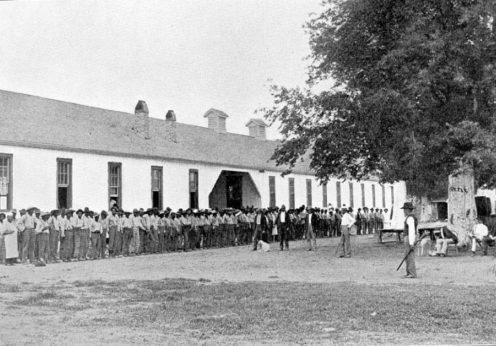 Eager to criminalize Black people both for the sake of repression and to allow their labor to be expropriated, Southern officials and legislators resurrected from slavery times the so-called “black codes.” These became the basis for sending former slaves to prison on charges like vagrancy, public drunkenness, and minor pilfering. Authorities then leased prisoners out to private mining, lumbering, and farming enterprises. Samuel James was making use of the convict-lease system when he owned the Angola plantations. The Jim Crow system of race prejudice gave it a boost by assuring convictions and long sentences. Essential reading on the convict-lease system is Douglas A. Blackmon’s Slavery by Another Name (New York: Random House, 2008), which was also the inspiration for a PBS series with the same title. The long Angola story thus demonstrates grim continuity of two kinds. Those beyond the pale have been forced to labor at the behest of others. And products of their labor have been confiscated. It’s a story begging for explanation as to how and why things happened. 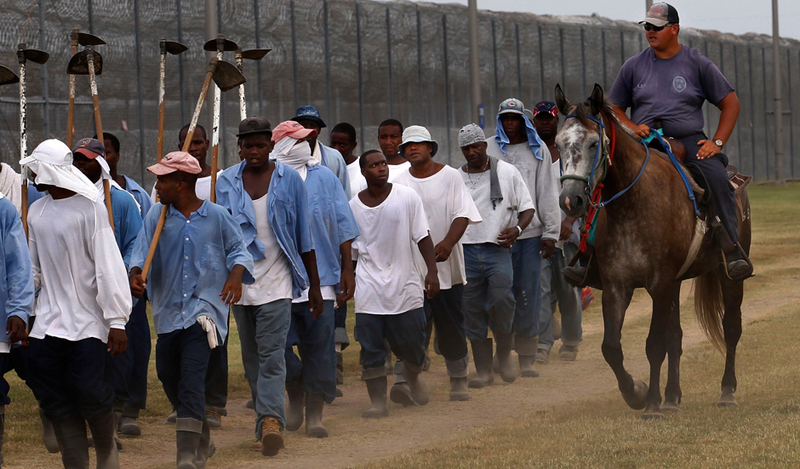 Slaves and prisoners—one and the same? Ostensibly, slaves and prisoners represent different categories, and often that’s so. But in the United States, they may be one and the same. Of course they are both held against their will. Beyond that, however, prisoners, like slaves, have been forced to work, to produce salable goods, and to relinquish any gain from their labors. Accumulation of wealth on the backs of prisoners and slaves has been rationalized with the notion that some prisoners and all slaves are inferior human beings and thus fit for expropriation. Recently, analysts in the Marxist tradition have focused on expropriation which, they say, explains much about capitalism’s spread to the ends of the earth. Angola is one such place. Nancy Fraser has the floor. “I hold that exploitation-centered conceptions of capitalism cannot explain its persistent entanglement with racial oppression. In their place, I suggest an expanded conception.” She explains: “Two…processes are essential for theorizing the racial dynamics of capitalist society. 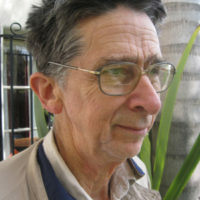 The first is the crucial role played in capital accumulation by unfree, dependent, and unwaged labor—by which I mean labor that is expropriated, as opposed to exploited.… The second concerns the role of political orders in conferring the status of free individuals and citizens on ‘workers,’ while constituting others as lesser beings—for example, as chattel slaves, indentured servants, colonized subjects, ‘native’ members of ‘domestic dependent nations,’ debt peons, felons, and ‘covered’ beings, such as wives and children. We recall Edward Pollard’s words above. He emphasized the capitalist nature of slavery. Slavery certainly filled that description at Angola during Isaac Franklin’s tenure there and capitalism has remained in charge at Angola ever since. Equivalents to Angola, prisons or not, exist in varying degrees and shapes throughout the United States. The message is taken that to undo white supremacy, now is the time to confront and replace pervasive capitalism.